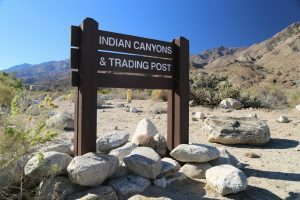 Indian Canyons are a must visit during any trip to Palm Springs. 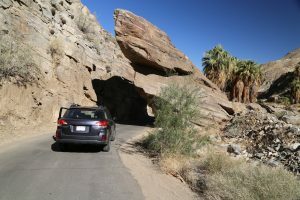 These canyons are located just south of downtown Palm Springs. 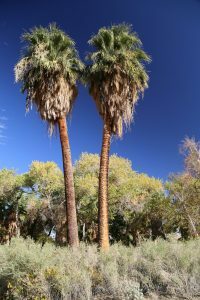 From the 111 (called Palm Canyon Drive) take South Palm Canyon drive past Moorten Botanical Garden and Cactarium, past a number of apartment like complexes until you come to the toll both (marking the entrance to Indian Canyons). If you drive south on Palm Canyon drive, South Palm Canyon drive will simply veer off to the right side of the road. The toll booth is about 3 miles from where South Palm Canyon drive leaves the 111. 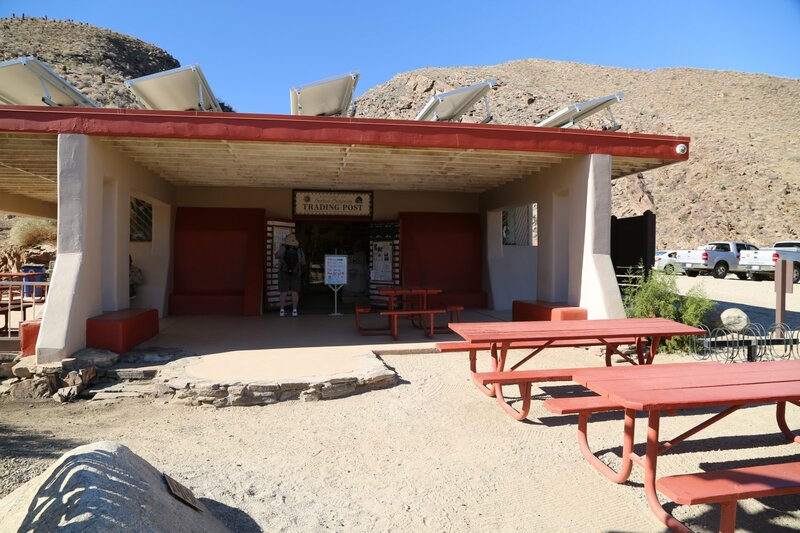 Once at the toll booth you will pay $9 per adult and you will be given a brochure about the canyons as well as a very detailed Trail Guide. The views and canyons are highly worth money. Seniors over 62 years of age, military veterans and children between the ages of 6 and 12 are discounted. Another price is given for Equestrians who ride in on a horse. The canyons are open daily in the Fall and Winter from 8 AM to 5 PM. The hours in the Spring and Summer are from 8 AM to 6 PM. You need to be in your car and driving away by closing time – so keep a close eye on your watch if its getting late in the day. There are three main canyons on the reservation. Palm Canyon is 15 miles long. 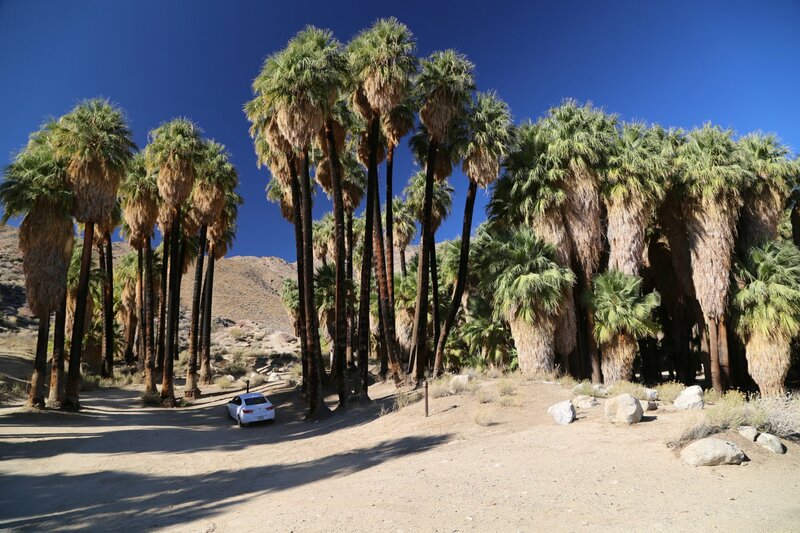 Palm Canyon has the most palm trees in a canyon anywhere in the world. 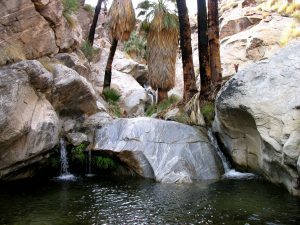 Andreas canyon has the second most, while Murray canyon has the fourth most. 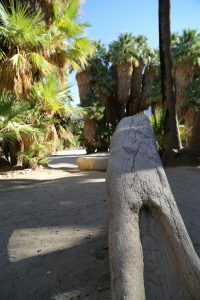 A number of safari options are offered including but not limited to Fern Grotto (view cactus, springs, and ferns), Stone Pools (walk along a trail in Palm Canyon and view a waterfall, cactus and possible wild cattle), Murray Canyon (view the desert, palm groves, and a overlook of Palm Springs), a Full Moon Hike (only conducted a few nights each month, located away from the reservation), Painted Canyon (view a canyon where the sun never shines, the San Andreas Fault and a slide down a dry waterfall. 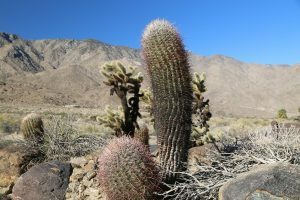 A number of canyons are located on the Agua Caliente Cahuilla Indian reservation. Hundreds of years ago their ancestors settled in this area. There was enough water from the canyons to grow crops such as melons, squash, beans, and corn. Rock art can still be seen in some of the canyons. Also visible are house pits, foundations, irrigation ditches, reservoirs and trails. In 1876 the U.S. Government granted the Indians 32,000 acres of land. Murray Canyon . For a nice easy scenic hike with not too many people on the trail, this is the hike for you. We have hiked this trail several times in different months. To get to this hike, you need to enter the main entrance at the toll booth. 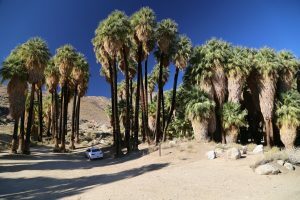 Then drive in on the paved road and at the first junction you will see a sign for Palm Canyon and then Andreas Canyon/Murray Canyon. Veer to the right towards Andreas/Palm Canyons. 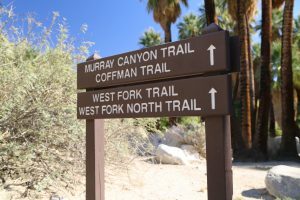 You will arrive at a parking lot – as you drive in and face the end of the parking lot, the trail for Murray Canyon leads off from your left side – there is actually a small dirt road that leads to another parking lot down on the left side – the main Murray Canyon trail leads from this. The temperature was in the low 80’s and after hiking for a short distance most of the group had to remove layers of clothing. 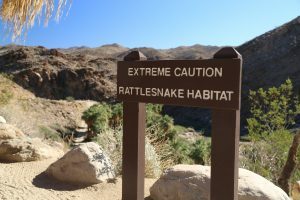 We hiked for a short distance through the desert and then entered the start of the canyon. 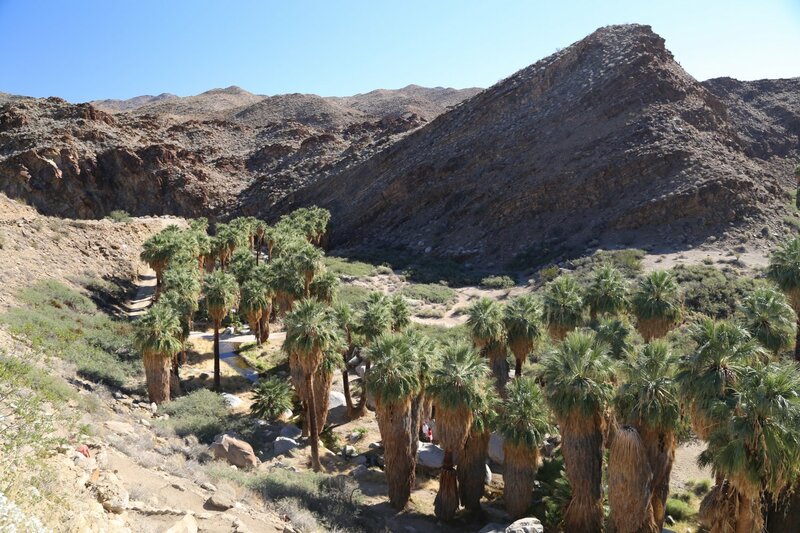 We went from the desert to a palm oasis that wound its way up the canyon. 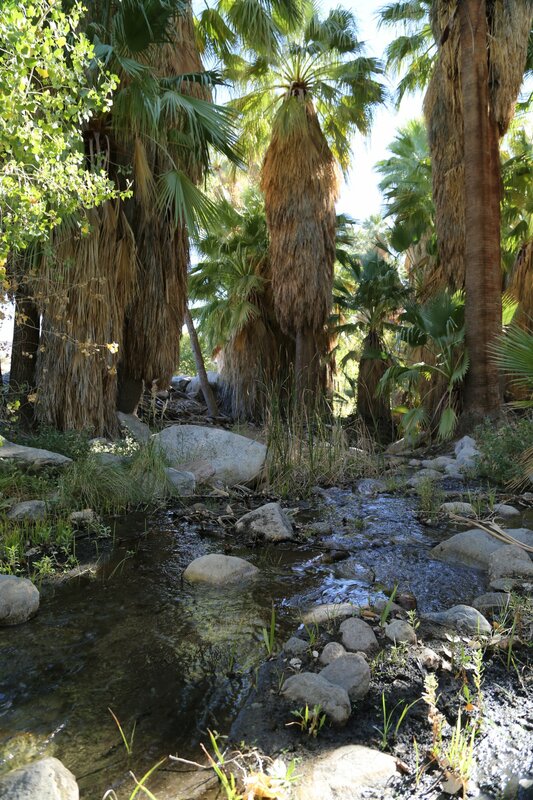 There were palm trees everywhere, some even growing right in the middle of the creek. These palms (Washingtonia filifera) are the only palms native to California. We hiked about 2.5 miles along a trail that for the most part was in the shade of the palms. The trail crossed from one side of the creek to the other several times. The creek was not very wide so there was no need to get wet when crossing. The trail ended at a small pond which was at the bottom of a waterfall. From there some of us climbed up the side of the canyon to the top. Once at the top we had spectacular views of the desert and of Palm Springs in the distance. Update: since we originally made this hike, there are now signs at the 7-sister’s waterfall forbidding you from climbing up the rocks behind the waterfall. The rocks behind and around the waterfall are quite steep and it is easy to slip on them. 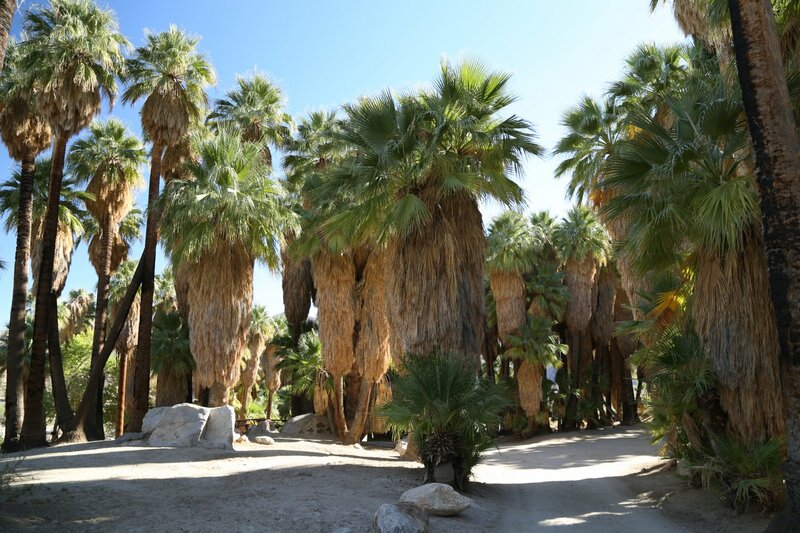 Palm Canyon is much different than Murray Canyon. 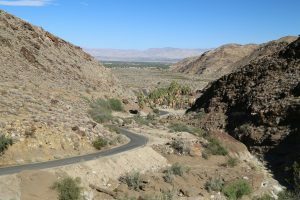 It is more popular with tourists and it starts off as a much wider canyon whereas Murray Canyon is a pretty narrow canyon all the way to the end. 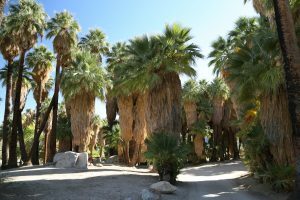 Palm Canyon is also 15 miles long. It is located at the end of the road – this is where the Trading Post is located. You can pick up ice cream, drinks and souvenirs here. There are two parking lots – one an overflow one located before you get to the main lot. 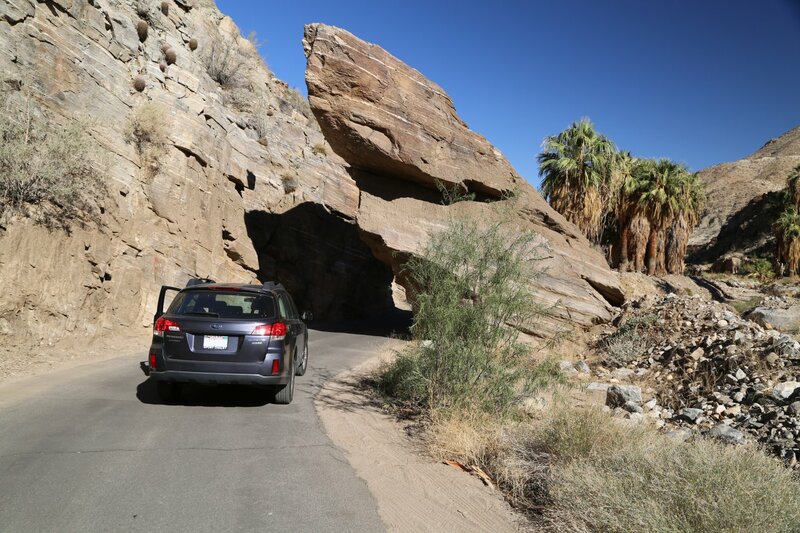 The road here is narrow and very windy – it is a two-way road so use caution when driving this. 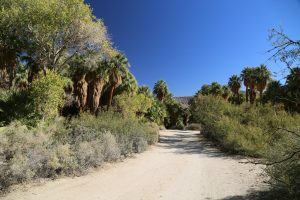 The trail to Palm Canyon leads off from the Trading Post, down several switchbacks to the canyon. Only the first part of this trail is steep, once you arrive at the bottom of the canyon you are on the flats, immediately surrounded by hundreds of Palm Trees. 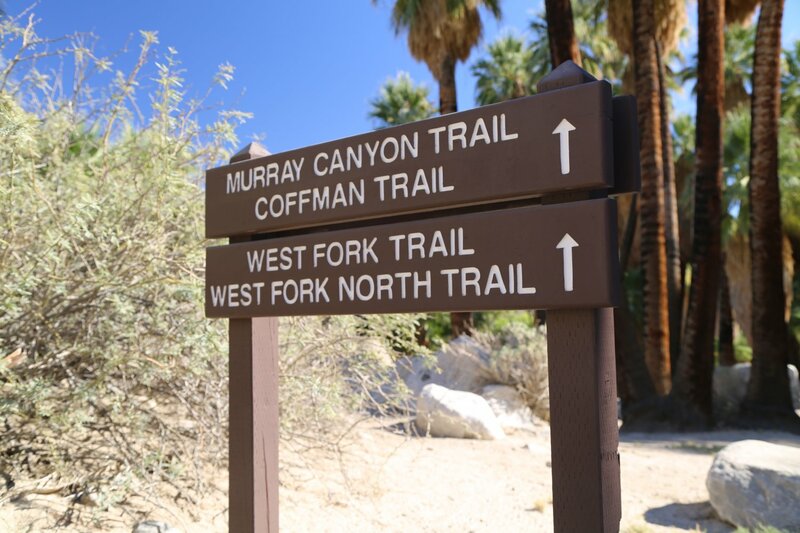 However you can choose from a variety of much longer hiking trails once you are in Palm Canyon – consult the trail guide for more info. 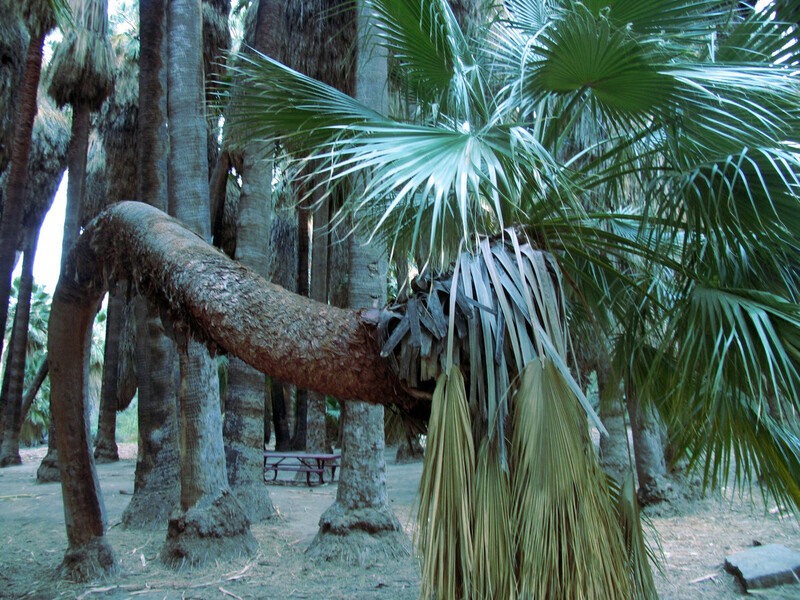 When you visit Palm Canyon, see if you can find the bent over Palm as shown in the picture below! Andreas Canyon trail winds its way up Andreas Canyon along Andreas Creek. 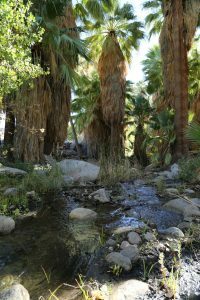 The highlight of this hike are the rock mortars and other relics from when the Indians lived and camped along this creek. 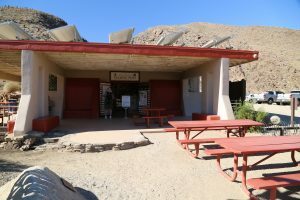 Tables are located along the trail for picnicking. Just did the Andreas Canyon trail, the 1 mile loop. just beautiful and very shady for the most part. I think it’s my favorite of all the Indian canyon trails. The water fall is dried up as 6-12-16. We were at a few years ago and the the water fall was active. California has been in a drought for several years. The hike is decent and rugged but do not expect a waterfall at the end.